Today I'm super excited to share with all of you how I teach multiplication and division to my students! So let's get started!! Learning multiplication and division facts with fluency and accuracy is crucial to higher math skills. I believe moment is so important in the classroom for all learners. I didn't quite understand the importance of movement until I had 3 little active boys of my own at home. 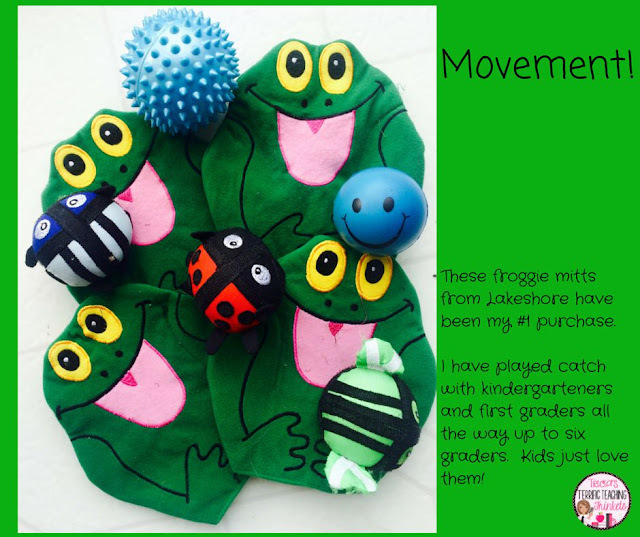 Now I incorporate movement in all my lessons for whole group, small group and even when I teach 1 to 1. Whole Brain Teaching and Brain Gym are some of my main "go to" activities. Sometimes I will mix in a short activity of Scoot or throwing a soft ball around the room. I may ask a student to tell me all the factors of 6. When the student is done, I'll toss a giant beach ball or invite them to throw a velcro bug at my froggie mitt. I adore games! 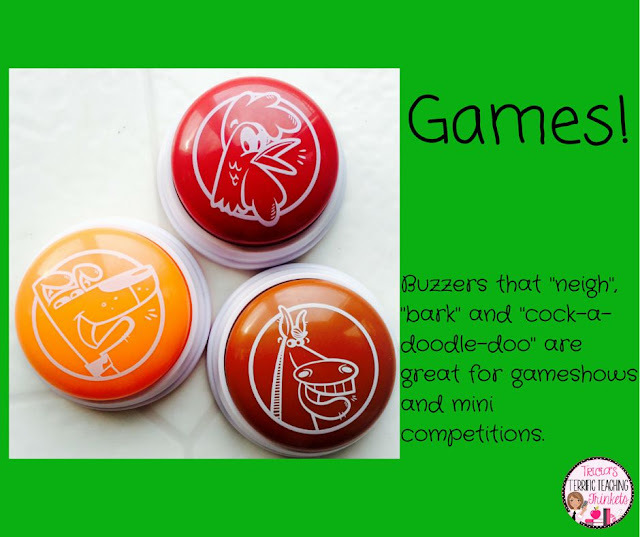 They are a great way to teach multiplication and division too! 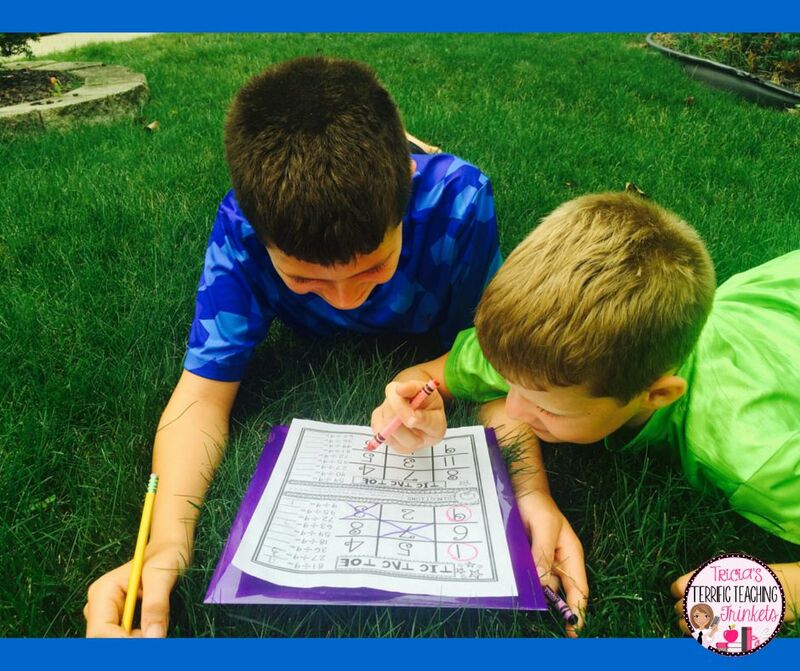 Dice Games, Coloring by Code, Tic Tac Toe and the list goes on. My students and I love beginning math class with a quick 5 minute game that refreshes multiplication or division facts. My kiddos love practicing their fact recall through the game format in class and as a homework assignment. I have created several multiplication and division practice packets full of kid tested games to increase fact power. Each packet focuses solely on one factor to help mastery. 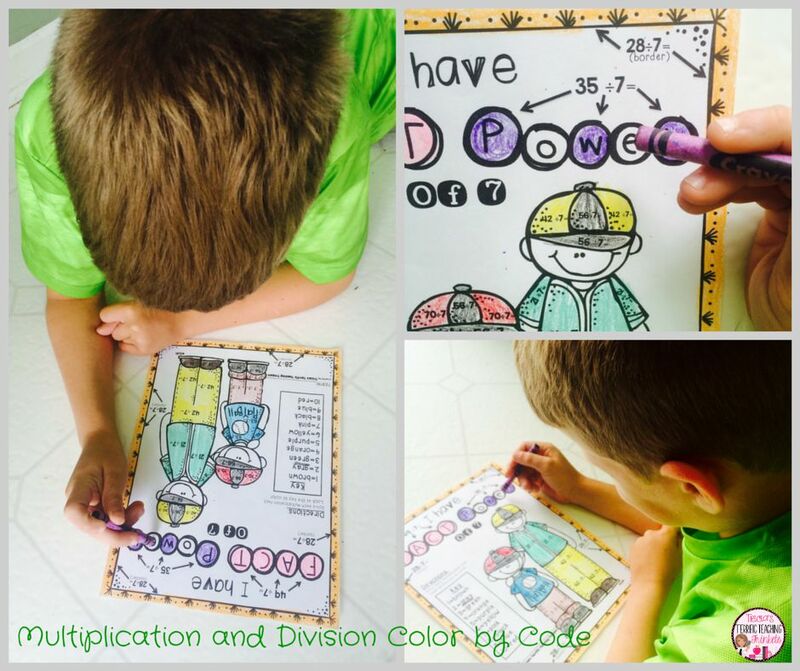 Get out my Multiplication Bundle by checking it out in my Teachers Pay Teachers store. You can also click through to see my Long Division Math Bundle. Our Math Focus wall is an important focal point during lessons as we teach multiplication and division. As I have gotten older, I figured out that I was a visual learner. I need visual support to help me remember vocabulary and concepts. Many of my students are visual learners as well. 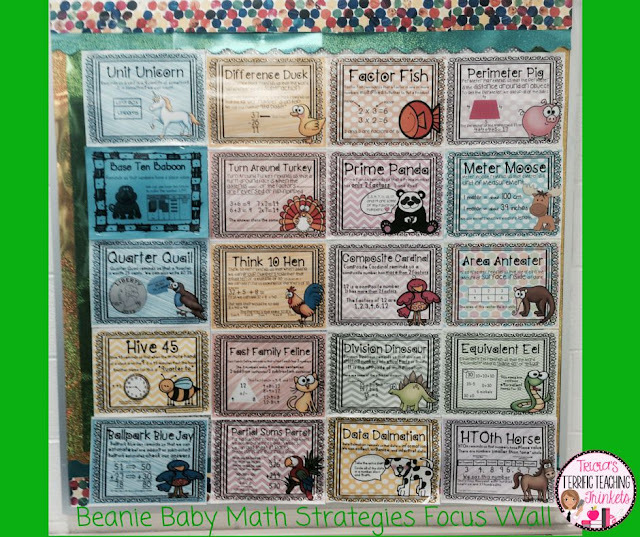 To help my students remember the numerous mathematical strategies, I have created adorable beanie baby names and posters to match our math strategies. Here are some of our Beanie Babies that are part of our focus wall. 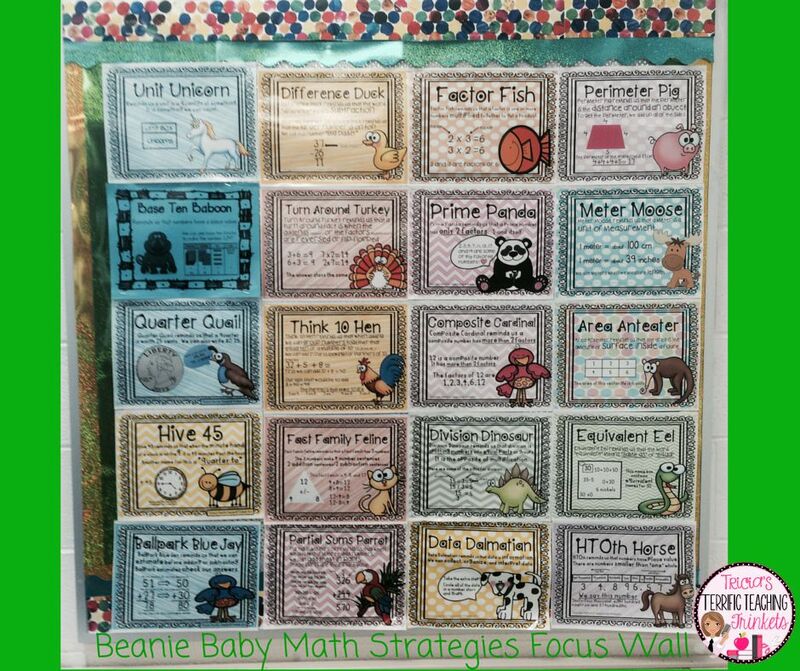 The students love looking at and touching the beanie babies to help them remember math strategies. 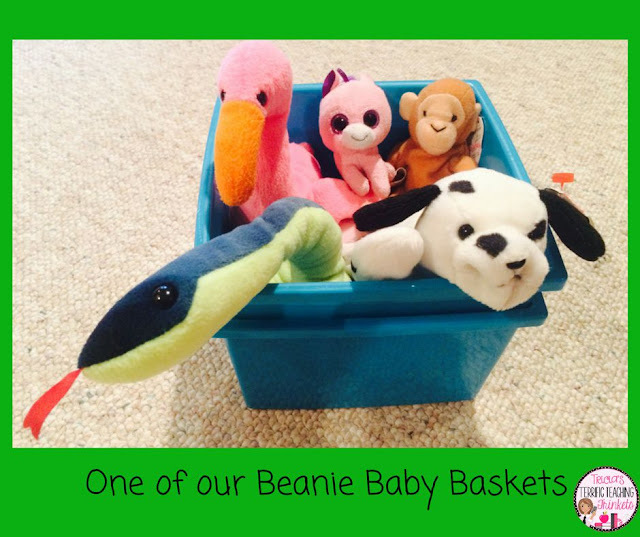 We will sometimes play a mini game of catch or a student will walk around with a Beanie Baby that is the focus of the lesson. Visual and kinesthetic learning...bonus! My students took such a liking to the Beanie Babies that each week there is a Beanie Baby King and Queen job. These students are each in charge of a Beanie Baby Basket. The Beanie Babies are sorted by Common Core State Standards (1. Measurement and Data 2. Operations and Algebraic Thinking 3.Numbers and Operations in Base Ten and 4.Geometry) We have a chant and a song to introduce new beanie babies as well. My students and I really can't get enough of these cute soft cuddly guys. So there you have it...my top 3 ways I teach multiplication and division fact power. Oh and here is a little secret... I love teaching addition and subtraction fact power the same way.